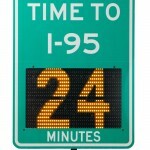 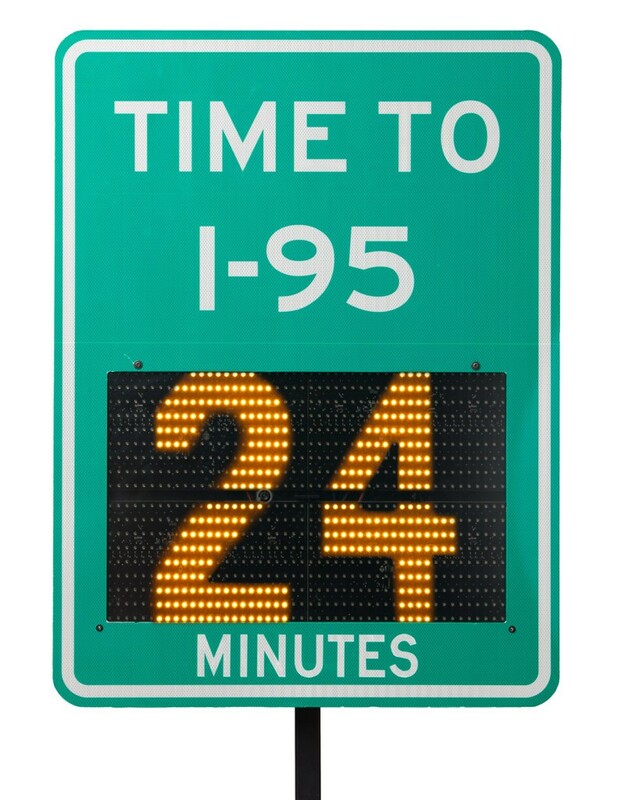 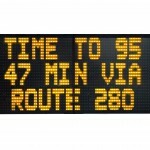 DriveTimes displays messages with live travel times for your custom route, updated constantly on a connected changeable message sign using the TraffiCloud Web-Based Remote Management Service. 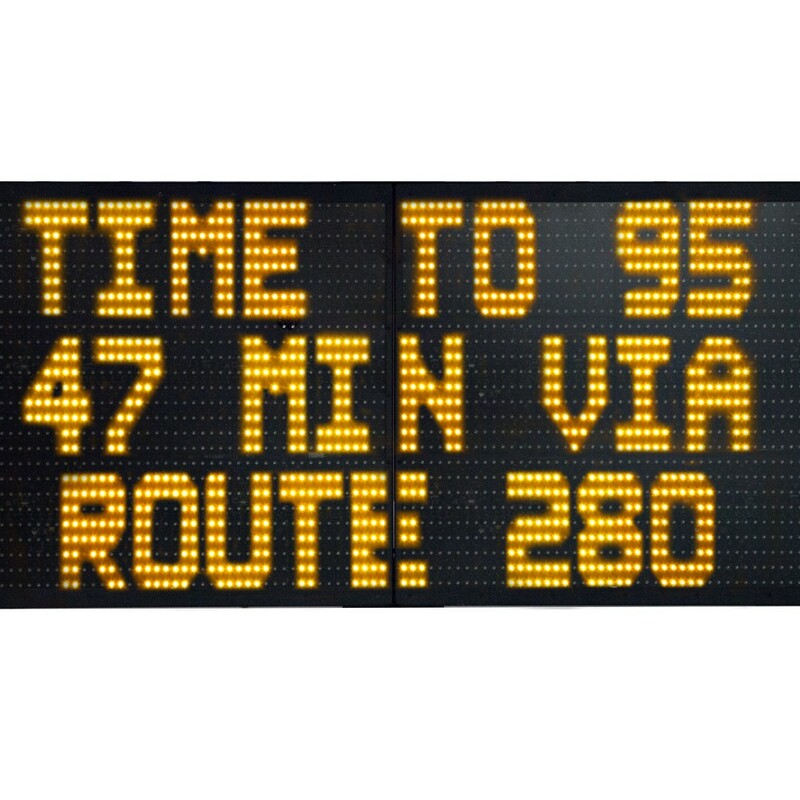 Simply mount a variable message sign, configure a route on the TraffiCloud web-based user interface and display time-to-destination messages with no sensor infrastructure. 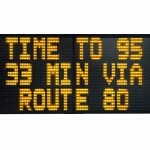 Even dynamically display a best route based on real-time travel data using the TraffiCloud rules engine. 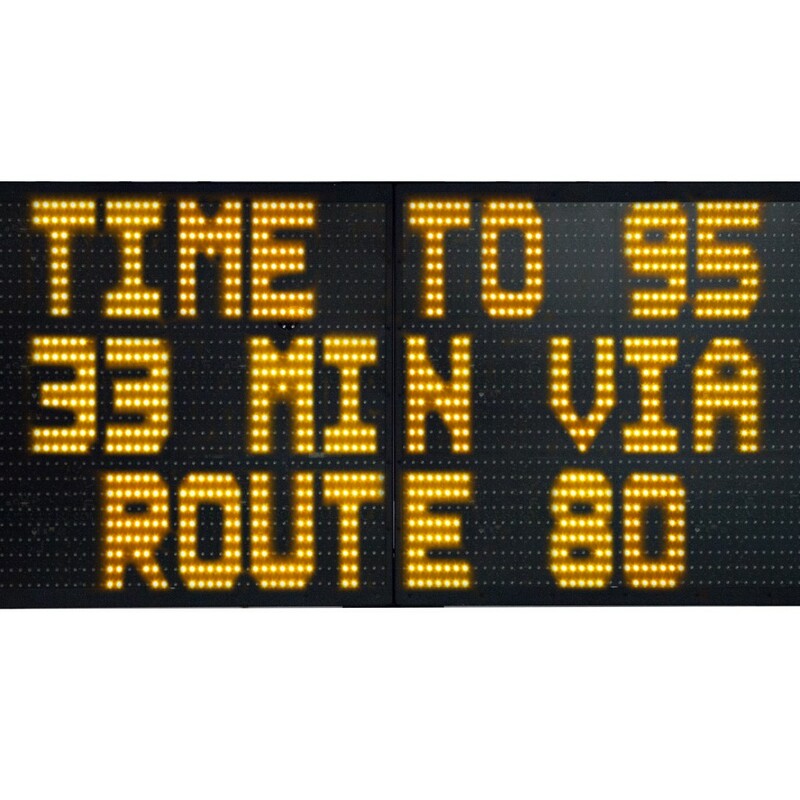 This technology radically reduces the complexity and cost to design, install and maintain an advanced, dynamic time to destination system. 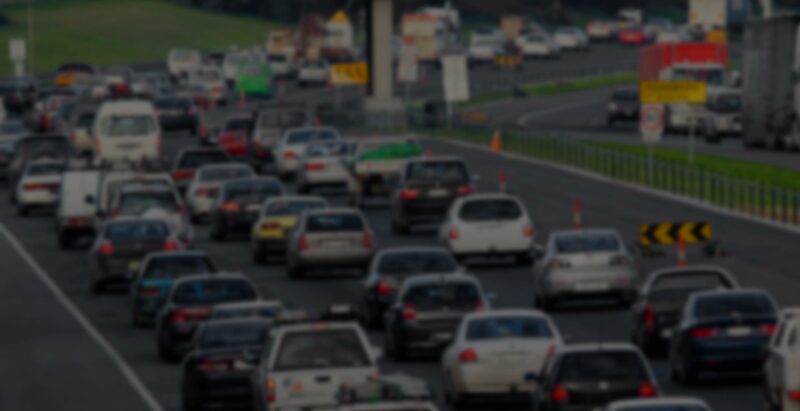 Travel time or delay data is sourced with an exclusive arrangement with TomTom.